There are many great things about having a dog with great obedience. The first is reliability, knowing that the dog is always going to come when you call them. This is why I am writing this post today. There is nothing I love more than to be able to take my dog (Ralphie) to the park and let him run off leash. 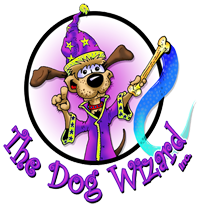 If you would like your dog to be off leash, give the Greenville Dog Wizard a call today or enter your information for a FREE evaluation.